A father who asked for my school picture instead of my report card because appearance was more important to him than how well I did in school. Fast forward to God allowing a diagnosis of breast cancer. But what if it makes me ugly? A husband who said it doesn’t matter what I think because my opinion doesn’t hold any weight. Fast forward to God calling me to write a book. But what if no one reads it? A son who was born six weeks early with a heart problem . . . and died. Fast forward to my two adventurous teenagers. What if they die, too? 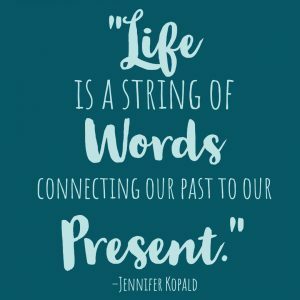 Life is a string of words connecting our past to the present. They either build or destroy, heal or wound. Some of the loudest ones in my life are ugly, worthless, and powerless. Someone else had a string of words that threatened to wound and destroy him. David was a shepherd boy when God told Samuel to anoint him as king (1 Samuel 16:12). He didn’t take the throne right away, of course, and not everyone was on board with his anointing—namely his brothers, who were “passed over” for the job. Then came the war between the Israelites and the Philistines. One Philistine in particular, Goliath, was the ringleader for his gang. Word on the street was the person who killed Goliath would be given great wealth, the king’s daughter in marriage, and tax exemption for his family (1 Samuel 17:25). David wanted to be with his brothers on the front line, but he also had sheep to tend. He ran back and forth from the battlefield to the pasture. On one of his runs David’s father gave him food to take to the front for his brothers. While delivering lunch, David asked what would be given to the man who killed Goliath. The eldest brother, Eliab, was angered by David’s inquiry and accused him of having a conceited and wicked heart (1 Samuel 17:17, 25-28). Goliath, at over nine feet tall, was both a giant and a bully (1 Samuel 17:4). A piece of his armor, the coat, was made of bronze and weighed about 125 pounds (1 Samuel 17:5). It is likely Goliath’s armor weighed more than David’s whole body. And when David told King Saul he wanted to fight the giant Philistine, Saul told him Goliath had been fighting longer than David had been alive (1 Samuel 17:33). David was told—all in one day—he was conceited, wicked, small, and incapable. And yet it was David whom God enabled to kill Goliath, and with a stone and sling for weapons (1 Samuel 17:49). David had the choice to listen to the deafening voices of Eliab, Saul, and Goliath, or to the calling of God to do what seemed impossible to the onlookers. He chose to walk in faith instead of fear. And he emerged victorious. Life for David didn’t become easy after he defeated Goliath. In fact, winning that battle made Saul so jealous that he then sought David’s life. Throughout the Psalms we see how David cried out to God for refuge while he struggled to stay alive. I, too, have found that God is a safe harbor where I can take my fear no matter what battle I’m fighting. There were times during my bout with breast cancer I was definitely ugly. Although, in recent years God has brought so much peace to my soul that I feel vibrant from the inside out. I had a wonderful job serving in my community. But when the new manager came, he dissolved my position. That’s when I decided to write full-time. The people I then served are now the ones asking regularly when my book will be available for purchase. Both of my kids have had really close calls in their lives. I’m thankful God has spared them. But God showed me in those scary situations He is the one who holds life and death in His hands. It’s not my fear keeping my children alive. It’s no longer what if, but why not? David said to Goliath, “The battle is the Lord’s, and He will give all of you into our hands” (1 Samuel 17:47). God lovingly redefined me through these encounters with fear and gave me a new string of words: vibrant, valuable, and faithful. Why not forge ahead with faith that He is right here with me in every battle? What negative words have you believed about yourself? If you are comfortable, please share in the comments below. Praying for you to see God transform them into words of affirmation. 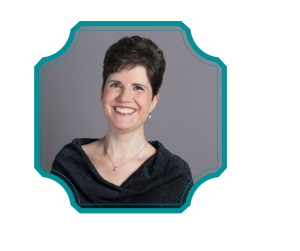 Jennifer believes that the beautiful thing about trials, traumas, and heartbreak is that our loving Heavenly Father draws us to Himself to give us what we never knew we always needed: more of Him. She is so thankful that God traded her pain for joy and peace she couldn’t have imagined! Jennifer discovered her love of writing in her early teens. Her book detailing her experience with cancer debuted on Amazon this October. You may find it here. To this day she values handwritten letters over other forms of communication—with the exception of a chat over coffee. She likes traveling, watching sports, and all things girly. You may follow Jennifer at her website Seasons of My Soul or on Facebook. Jennifer, thank you for sharing an amazing story of God’s faithfulness and love. When I wrote my first competitive speech in middle school, I was told, by my mom, I would make a fool of myself ( in a crude way) and should drop out of the competition. I received an honorable mention. I didn’t compete or write for decades. God brought hesling, grace, and forgiveness. A powerful reminder of the power of words. Thank you so much Sweet Emily! Love you back in Christ! Beautiful post, dear Jennifer, and full of truth. Praising God with you for all He’s done and is doing in your life. Love to you in Christ, dear friend! Thank you, Diane! Yes, fear (and shame) turn us inward, but hope and trust turn us upward. He has proven Himself faithful and worthy of our trust! 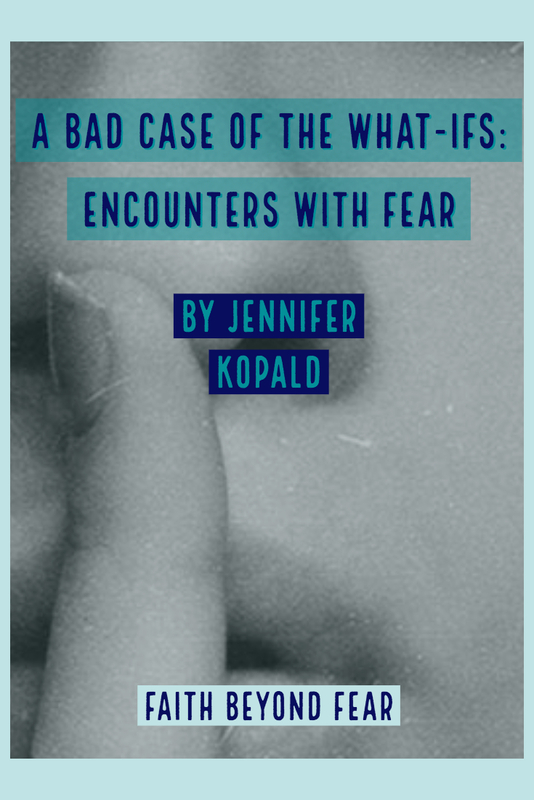 Thank you, Jennifer, for focusing us in on our everpresent God rather than fears. I like your endind, “Why not?” It’s a great perspective. Jennifer, thank you for sharing your beautiful story, as well as David’s. You reminded us to believe only what God says about us. Thank you so much, Jeannie! It’s so easy to get distracted by our emotions, isn’t it? I’m thankful we have a patient Father who doesn’t hold against us how long it takes us to get a clue. He loves us so much! Thanks for your comment! These are great thoughts, Jennifer. I love.youe line, It’s not my fear that keeps my kids alive.” That’s gold! Why do I cling to my fear like it’s the thing that solves my problem or delivers me? Profound and simple. I like to control things. I like to plan things out. It’s what makes me successful in life but it also makes me feeble when I get a curve ball. Good post. Thank you Chip! Yes, it’s that whole control thing that has put a wedge between me and God. And I believe it is rooted in pride. Do I really believe that I have more power/vision/love than God?! Even in the loss of my first son, I see now that God in His omniscience and omnipotence was loving me (AND my son). The bottom line: God uses our suffering to remove impurities/unrighteouness, and with everything He removes…He makes us whole. Thanks for your thoughts Chip!